White House Chief of Staff Andrew Card slipped into a room in Booker Elementary School in Sarasota, Florida at 9:06 a.m. and whispered in the President Bush’s ear that the World Trade Center had been hit by a second airplane and that the nation was under attack by an unknown entity… still on the school grounds at 9:29 a.m., Bush made his first of several live announcements that day regarding the unfolding tragedy. 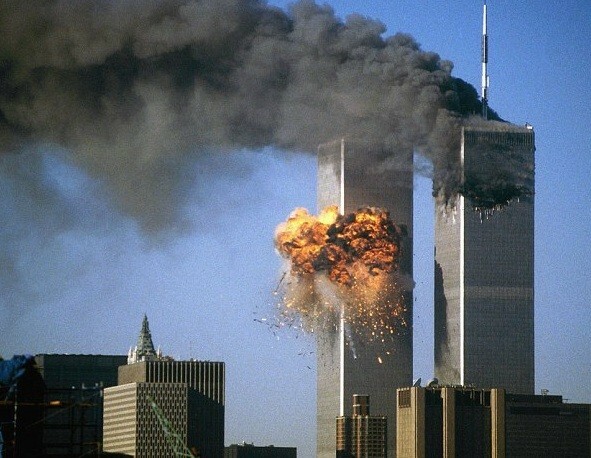 The South Tower collapsed at 9:59 a.m. after burning for 56 minutes in a fire caused by the impact of United Airlines Flight 175 and the explosion of its jet fuel. 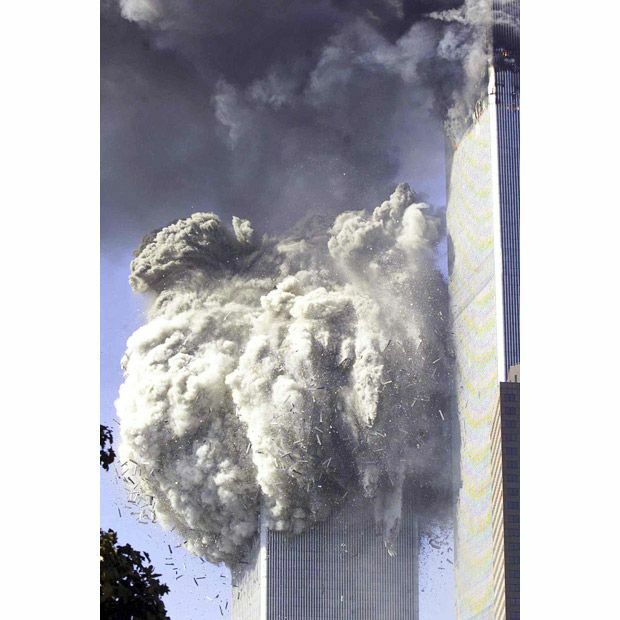 The North Tower collapsed at 10:28 a.m. after burning for 102 minutes. When the North Tower collapsed, debris fell on the nearby 7 World Trade Center building (7 WTC), damaging it and starting fires. These fires burned for hours, compromising the building’s structural integrity, and 7 WTC collapsed at 5:21 p.m. The facts were simple as that fateful Karmic day 9/11 unfolded. No conspiracy theories on that day. Some Conspiracy Theorists say the 2 planes that crash into the World Trade Center Towers were remote-controlled, or military planes, please have some respect to the real victims who were listed in all the 4 planes’ passenger list manifesto. Real people from all walks of life, different faiths, Jews, Muslims, Christians, Arabs, hundreds of firemen, rescuers died on 9/11. It was NOT fake news or STAGED News – no-one can manufacture such news flash footage from witnesses. CTs and extremist radical Muslims let it rest with your agendas. May Allah and God Bless you. Watch as family members of 9/11 victims share stories of communications from the hereafter and talk about how their lives have changed over the years. While many of us wonder if there’s life after death, a number of family members of the victims of 9/11 know for certain that there’s an afterlife. Why? Because they’ve received signs, messages and, in some cases, visitations from their loved ones. Watch as they share their inspiring stories of these communications from the hereafter and talk about how life for them has changed over the years. 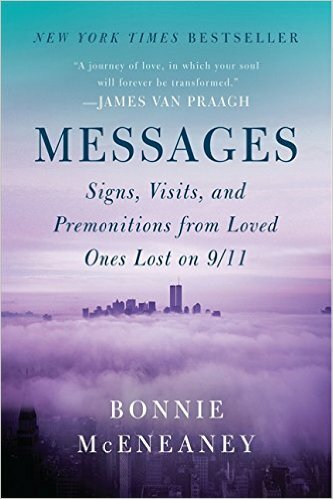 Bonnie McEneaney, the wife of a 9/11 victim, describes the spiritual experiences she’s had since her husband’s death and the messages she still receives from him today. 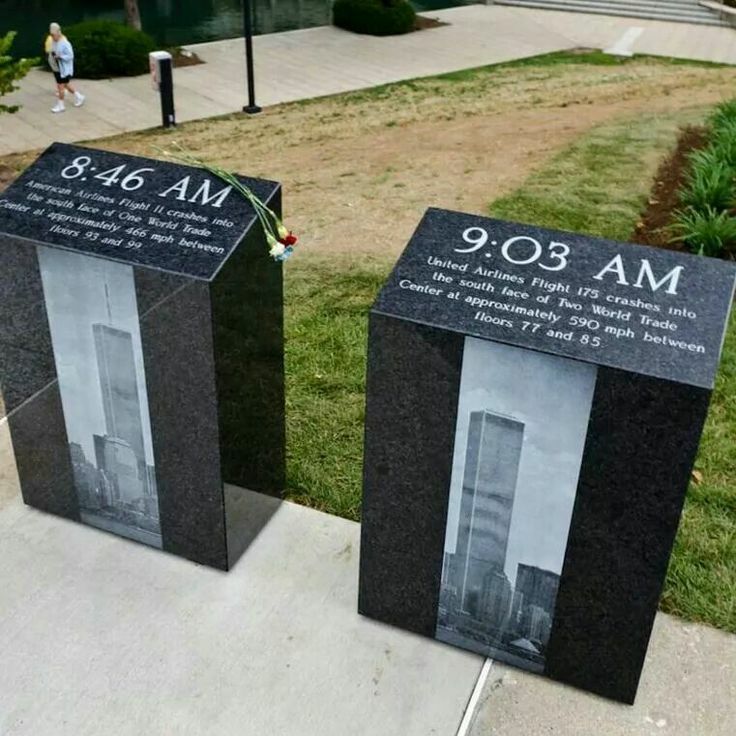 Monica Iken: A wife reflects on her efforts to properly memorialize the 9/11 victims and the ways in which her late husband still sends her messages.